Polish physician; flourished at Kalisz in the second half of the seventeenth century. 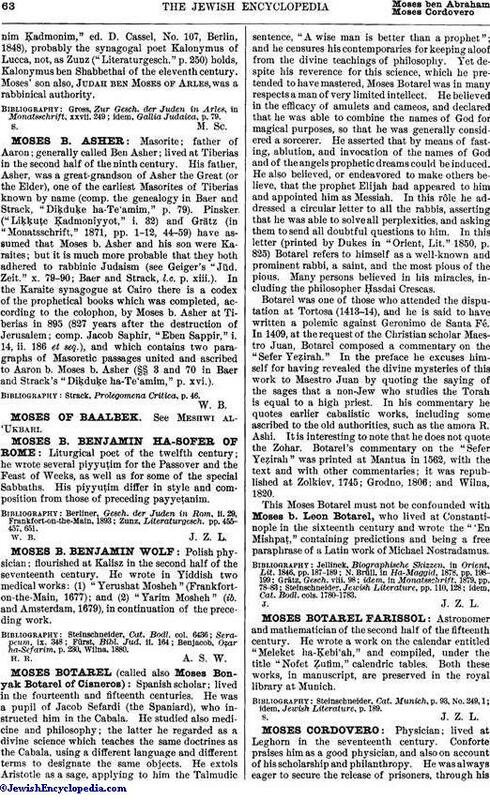 He wrote in Yiddish two medical works: (1) "Yerushat Mosheh" (Frankfort-on-the-Main, 1677); and (2) "Yarim Mosheh" (ib. and Amsterdam, 1679), in continuation of the preceding work. Benjacob, Oẓar ha-Sefarim, p. 230, Wilna. 1880.